July was a better month than June, so we’re definitely making progress now! We had bigger hopes for this past month’s running, but honestly, I’m pretty pleased by the building we’ve done. August is the month of our 18.12 Challenge, so we’re hitting two weeks of big mileage, then we’ll be tapering down for the end of the month. Then, I’ll be getting ready for Chicago, which is insane. The weeks and months are flying, which is so good, and so bad, but I’m ready to push it! I started relying heavily on my Garmin instead of Nike+ running for my mileage and pace this month because the beginning of the month was spent with a broken phone. Since I’ve replaced it, the battery can last longer, but I’m getting used to really relying on the Garmin vs. the Nike+…crazy thoughts. It was a much slower month, and that was a bit of a mental game. Emily prefers a slower pace, which is better for my long runs, so I’m doing my best to dial back whenever we run together – which is often. I started my August off right today with a 5-miler this morning. It doesn’t escape me that we haven’t been building as much as we need to/should have been, but running when your husband is deployed is hard even in the best of times. I’m working to keep prioritizing, regardless of what mental and emotional days like to throw at me. 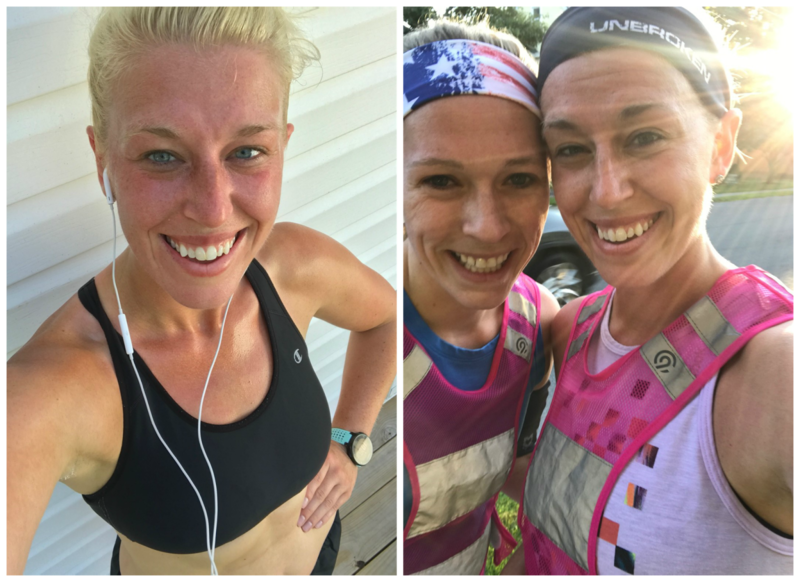 Fellow runners – how did you do? Next Post what’s up, august?